* According to Pro Wrestling Sheet, Nikki Bella is taking time off after Wrestlemania, but she is not leaving WWE for good. She'll be moving into a much more part-time schedule. * Erick Rowan is recovering from torn rotator cuff and has arrived at the Performance Center to rehab. * Rich Swann is out with a foot or ankle injury. * Hideo Itami has been totally cleared and is ready to return to action. 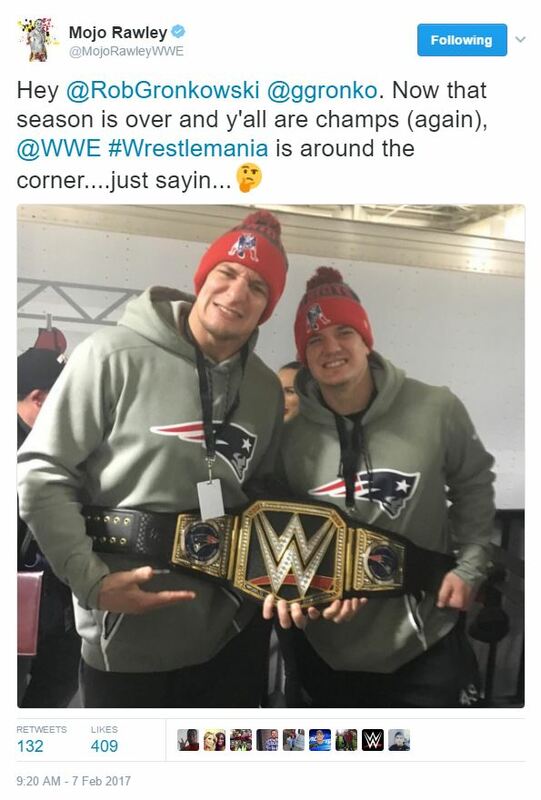 * The custom title belt sent to the New England Patriots was being passed around among the champs during the parade. Timothy Thatcher/Fred Yehi winner at EVOLVE 78 defends vs. Zack Sabre Jr.
* Check out the latest hilarious episode of Most Ridiculous with Anna Bauert!